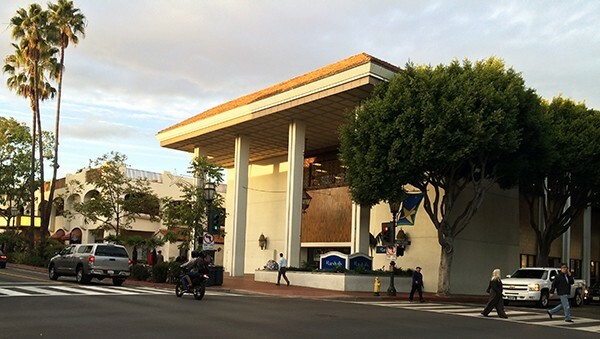 The Marshalls-occupied building at 900 State St. in downtown Santa Barbara has been sold for $14.3 million in an all-cash off-market deal, marking a 43 percent premium over the last time the property changed hands. The 38,000-square-foot retail building at 900 State St. in downtown Santa Barbara has been sold to an out-of-town investor for $14.3 million. Marshalls holds a lease through 2015 on the property. 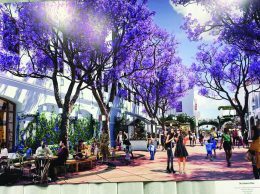 Radius Commercial Real Estate & Investments said the deal marks the largest sale of a retail property in downtown Santa Barbara in recent years. The 38,000-square-foot building is located on the corner of State and Canon Perdido streets. Austin Herlihy and Steve Brown of Radius represented the buyer, 900 State Street Associates LLC. The new owner is an undisclosed out-of-state investor with strong local ties and was involved in a 1031 tax deferred exchange, according to Radius. Built in the 1960s, the three-story building previously housed a bank and then a Borders bookstore. The property last sold in 2011 for $10 million after the exit of the now-defunct Borders. Marshalls, a discount apparel and home goods retailer, holds a long-term lease through 2015 with multiple options, Radius said. “The owner has some long-term ideas about adding square footage and improving the look of the building exterior, but not while the Marshalls lease is in effect,” Herlihy said. The commentary on EdHat about this is typically stupid. There’s nothing here that says that Marshall’s is closing, but those imbeciles all assume that.